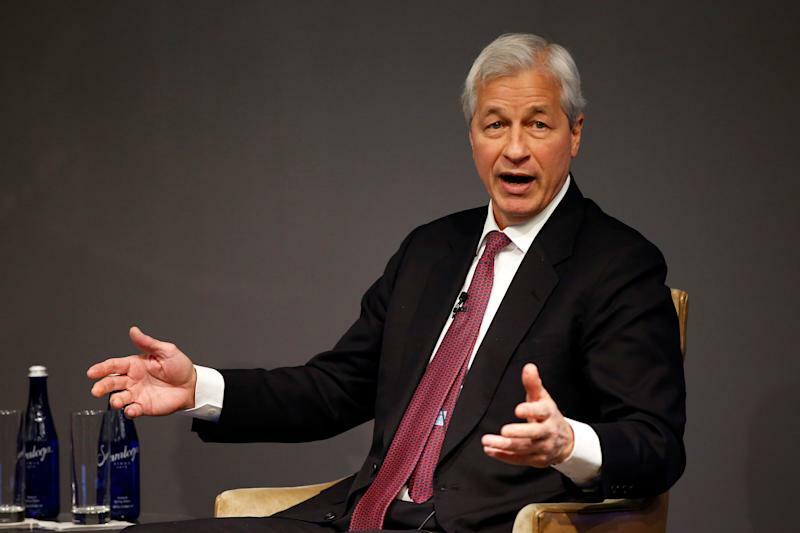 JPMorgan Chase (^JPM) CEO Jamie Dimon simultaneously defended free markets on Thursday while acknowledging that the aspirational American dream was “fraying” for many citizens as incomes stagnate and costs rise. Dimon — a self-described Democrat at heart who has bemoaned the leftward drift of the party — has denied speculation that he may run for public office. Still, a wide-ranging annual letter released to shareholders on Thursday tackled a number of politically charged themes that made him sound a lot like the latest CEO-candidate who has Oval Office aspirations. With a debate underway about the merits of a market-based versus a government-run economy, the chief executive of the largest U.S. bank launched a defense of capitalism, while blistering socialism as a path to “stagnation, corruption and often worse” that would be a “disaster” for America. His remarks come at a time when self-described socialists like Vermont Senator Bernie Sanders and New York Congresswoman Alexandria Ocasio-Cortez have risen in prominence. Sanders is currently topping the polls for the Democratic presidential nomination, while Ocasio-Cortez (known as AOC) has become the standard-bearer of the party’s resurgent left. Recent polls also suggest younger voters are sympathetic to the idea of a government-run economy. In his letter, Dimon staunchly defended private businesses, while issuing a rallying cry to CEOs that he said the world’s largest economy needed. “Show me a country without any large, successful companies, and I will show you an unsuccessful country — with too few jobs and not enough opportunity as an outcome,” the CEO wrote. Meanwhile, Dimon also addressed a litany of hot-button themes such as immigration, income stagnation, and lack of health care.